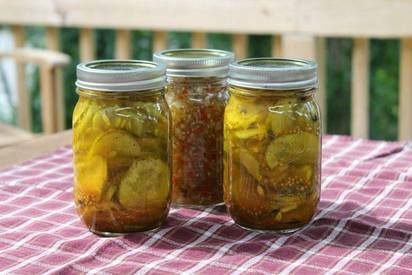 Pickles are easy to make, but there are several steps involved. You have to wash the cucumbers and scrub off all the little prickly nubs. Then dry them and slice them fairly thin. Put them in a bowl with equally thin sliced onions, add some salt, mix it up and then cover the bowl with ice.